Not all kitchens are created equal. What can you do to yours to catch a potential buyer’s eye and persuade them to make a good offer? As with any pre-sale renovation or spruce up, keep a tight rein on budget. Talk to your sales consultant about what your asking price should be before and after a kitchen makeover. Then set your budget at a portion of that difference. You don’t want any makeover plan to eat too far into your ﬁnancial gain or there is no point at all in doing it. Your sales consultant will also be able to give you a good idea of some quick changes to your kitchen that may help. You might ﬁnd very little ﬁnancial outlay can make a huge difference; avoiding anything that involves changes to plumbing and electrical wiring is another way to keep costs down. Before you start, make sure you know exactly what you want to do to your kitchen and why and stick to it. 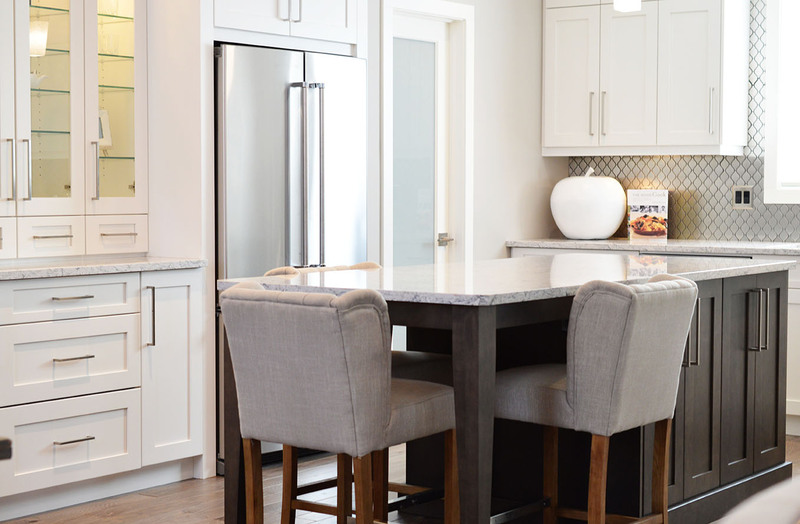 It’s very easy for a kitchen makeover to turn into a personal project – a chance for you to add all the things you’ve ever wanted in a kitchen – and suddenly you ﬁnd your budget is blown. Thinking about what you’d like in a kitchen is a good place to start, but don’t fall into the trap of making it too personal to you. Think about big picture, general improvements such as space, storage, functionality and light. Make your plan around achieving these as cost effectively as possible and stick to it. Consider giving cabinetry and walls a coat of paint and new cupboard or drawer handles. Have a chat to paint retailers such as Resene for advice on trending colours. As a rule, if you want to create the illusion of a bright, airy, spacious kitchen opt for light neutrals. The same is true for ﬂooring and wall tiles. If you can replace or at least repair old, stained, worn ﬂooring or cracked tiles and peeling lino, and make sure tile grouting is looking clean and fresh. You also want to keep the palette fairly neutral so potential buyers feel they can stamp their own personality on it. Keep open shelves, cupboards, and pantries looking orderly and functional instead of crammed full of your own belongings. Make sure all surfaces are clean and unmarked. If bench tops are looking old and marked, consider replacing them if you can afford it. There are a huge range of different options available these days for benches, in a range of prices. You don’t have to choose the most expensive. A new, unmarked cheaper option will still be better than older, stained or chipped surfaces. Don’t forget about ceilings and lighting. Kitchens should be well lit to be at their most functional – but good lighting can also make them seem bigger and brighter. And don’t forget to at least clean, and preferably paint ceilings. Can the way you move around the kitchen be improved by shifting the dishwasher, fridge or oven? Do doors clash? Is the fridge in the wrong place? If there’s something about the way you use your kitchen that has always irritated you, it may well irritate buyers as well. If you can change it within your budget it is worth doing. Think carefully about what you’re going to include as chattels in the kitchen. If you have a difﬁcult space designed around a particular fridge for example, consider leaving it behind as part of the kitchen. Anything difﬁcult to replace that is a key part of the kitchen should be included in the sale if possible.